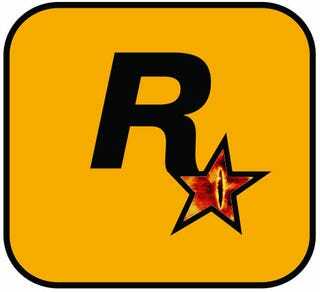 Following a blog post last week describing unfair work conditions at Rockstar San Diego, a former Rockstar New York staffer spoke to MTV Multiplayer of the fear the East coast office instills in the developer's West Coast employees. Last Thursday's blog post, signed by "Determined Devoted Wives of Rockstar San Diego employees," described mandatory long work days, extended crunch times with little or no relief, and generally stressful conditions. Multiplayer's source confirms these allegations, saying, "I can support what those accounts are saying, where you're working long hours with last minute demands and no direction." "That's opposed to any other studio where there are regular meetings and milestones and stuff so you don't get too far down a path before people come in to make sweeping changes." One can almost imagine a giant eye atop Rockstar's New York offices, suddenly shifting Westward and opening wide. It's a rather apt comparison, right down to the fear such attentions bring, especially considering comments made by sources at Rockstar San Diego to Joystiq yesterday. "Anyone from the New York office is feared, because people in the San Diego office know that they are unstable and needy ... in other words, if a comment comes from a person from New York, it's a mandate that needs to be immediately addressed regardless of previous priorities." That's not to say the New York staffers had it easy either, as Multiplayer's source describes instances where employees were called into work on a weekend without any actual work to finish, calling it "kinda like face time, just so [the top of Rockstar] sees you there." What MTV Multiplayer's source describes sounds like several bad jobs I've had, all rolled up into one. Of course none of mine involved creating a Grand Theft Auto game, which would have made some of the suffering worth it. You're making sacrifices, but for the end result. There's very few times that you're able to be a part of something like that.